Having to be admitted to a nursing home is something most of us hope to avoid. However, dealing with serious, ongoing medical issues and dangerous health conditions may require this level of care. In addition to the discomfort you feel at the prospect of being away from your residence, the fact is that paying for nursing home care is expensive and can easily wipe out your life savings. In addition to using Medicaid planning tools, such as an NYSARC trust, making sure you are getting quality care now can also help to reduce your risks. Many of us know of situations in which a friend or loved one entered the hospital, only to eventually be transferred to a nursing home. Even if it is on a temporary basis, this level of care drives up your out-of-pocket costs and is something that many health insurance policies do not provide for. Patients who have other conditions that require treatment or cognitive issues which prevent them from properly caring for themselves. 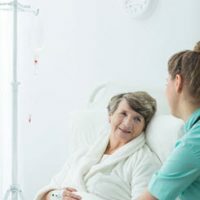 The study found in nearly 25 percent of these cases, patients end up being readmitted to the hospital as the result of errors or unaddressed health concerns. This takes a toll on their overall health and increases the likelihood that a nursing home stay will extend indefinitely. Getting quality medical care decreases your risk of illnesses and chronic health conditions, thereby decreasing your risk of requiring nursing home care. Speaking up during doctor visits plays a major role in protecting yourself, as does checking out the ratings for any facilities where you may need treatment. Medicare’s Hospital Compare online tool lets you view how your hospital ranks in 57 different areas, allowing you to shop around before being admitted. Hospital administrators are aware that consumers have gotten more savvy and have taken action to address deficiencies where they exist. An example is the Bronx-based Centers Health Care. According to a May 2018 report in the Bronx Times, administrators recently announced that efforts in improving their quality of services have earned several of their facilities a five star rating from Medicare and other hospital ranking sites. When you have questions about rising health care costs and how you can protect your assets, Cavallo & Cavallo can provide the answers and legal guidance you need. Call or contact our office online and request a consultation to speak with our Medicaid planning and nursing home attorneys in our Bronx or New Rochelle office today.